The Adobe Summit is currently underway in Las Vegas, and 13,000 attendees received the message that we are now buying experiences rather than products and that consumers prefer a personalized experience. According to Adobe, 71% of consumers would choose a product or service because of a design that delivers a positive experience. Most of us would also be loyal to a brand that provided an enhanced online experience too. A few years ago, a website was judged about how it looked and often resulted in a classic case of style over substance. However, here in 2018, the success of an online store is determined by how it works and if it delivers engaging experiences. Our expectations are now set by the usual suspects such as Netflix, Uber and Amazon Prime that know what we want and when we want it. Equinox Fitness is an American luxury fitness company which operates several separate fitness brands: Equinox, PURE Yoga, Blink Fitness, and SoulCycle. Within Equinox’s portfolio of brands, there are more than 135 locations in every major city across the United States in addition to London, Toronto, and Vancouver. But, did you know that design plays a huge role in their success both now and in the future? Meredith Cooper is part of the Creative Cloud Enterprise team for Adobe and is doing some great things with Equinox which has a reputation for being a provocative brand. The company sees design as being a key part of the experience itself. 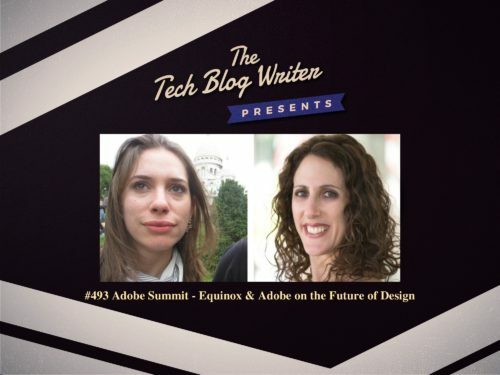 Equinox’s director of digital design, Cecilia Farooqi joins Meredith top discuss to become experience makers and influence perceptions through creativity, they also have the ability to create members for life. If we are all buying experiences rather than products, what role does technology and design play in our future? We talk about this and much more at this year’s Adobe Summit at the Venetian Hotel, Las Vegas.